Mrs. Naazir has been writing and researching professionally since 2002-2003. She has an MBA in Business from Regis University in Denver, CO. She loves to write about subjects where she either has experience, or just love to do as a hobby. Paying for a higher education can be somewhat difficult in a 2013 education market with the high costs associated with getting a degree. Along with student loans, both public and private, students find that they still need additional income in order to make it through school. Work study jobs allow students to make that extra money, it also allows them to have fluid cash on hand to pay for things that federal student loans will not pay for. In order to qualify for most work study jobs, there has to be a financial need demonstrated when filling out your financial aid application. If the university or college determines that you qualify, then they will allocate a certain amount that you can earn to pay towards your college or university expenses through work study. As stated above, based on the information that you provide in your complete financial aid application, the university or college decides if you are eligible for financial aid in general. After federal such as Pell Grants and Federal Financial Aid are allotted, the university may help fill the gap by giving the student the opportunity of working through and work study program. This opportunity helps to fill some of the gaps in financial aid that a student may still need to make it through school. A work study job also gives the student an upper hand by getting valuable work experience while in school. It puts them a little further ahead of others who may not have work experience once they graduate and are looking for a job. For students who live off-campus, having a work study job can help with rent and food which may not be covered through government financial aid. Students who have work study job experience usually have a little better understanding of what it takes to survive on their own after graduating college because of the mix of classroom learning with real world job experience of making their own money, keeping a schedule, paying bills and budgeting time and money. 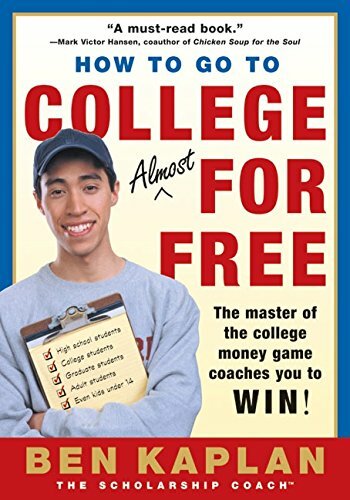 However, in some cases, student who need work study jobs do not get them because their parents might make too much money or they made a mistake when filling out the financial aid application or the financial aid office just thinks the money would be better served by giving it to someone else. In these cases, it is up to the student to let the financial aid office know how much in need of the work study job they are. Sending them a simple letter may help your case. I am in receipt of your letter denying me additional financial aid for the semester (add dates). I wanted to thank you for reviewing my application as I am sure it is a very long and careful process. However, even with the federal financial aid that I received, it will be very difficult for me to make it through this semester without additional financial aid. I respectfully ask you to review my financial aid status again. Enclosed you will find a copy of my family's income and expenses and also another copy of the FASFA form I initially filled out. If you need additional information from my family or myself, we will gladly provide it. Any time and attention that you can give to this matter would be so greatly appreciated. I am willing to work as hard as I can to make my educational dreams come true. Please allow me a chance to do so through your university work study program. I am in receipt of my financial aid award from (XYZ university). Thank you so much for being so generous and wanting to help me succeed in my educational endeavors. After reviewing the awarded amount, even with your generous offer, I'm sorry to say that it may not be enough to cover the additional expenses that I will incur during the (name appropriate semester). Therefore, I respectfully ask that you increase my financial aid. It is a very important step in the process that is needed for me to finish school. Please let me know if you need any additional information from my family or myself. We will gladly and promptly provide anything you need to help approved an increase in my Work Study Award. Thank you so much for your time and attention to this matter. It is greatly appreciated. These are just sample letters that you can use as a reference point to build your own letter. Your own situation will be different/unique. Whenever you are appealing a financial aid decision you should always be thorough in terms of providing whatever information is needed to change or influence a decision in your favor. Having said that, you should remember that you should never lie or fabricate information because it could land you in a heap of trouble and get your aid suspended.